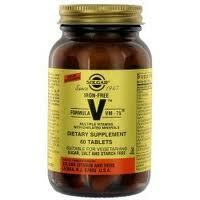 Solgar Formula VM-75 Tablets is a tried and true multiple vitamin formula. It contains a unique form of chelated iron (iron bi-glycinate) formulated for maximum absorption without gastrointestinal irritation or the constipating effects that often accompany iron supplementation. The "75" stands for 75mg of most of the vitamins B family, providing energy, and stress relief. Many people report a feeling of general well being when they take their daily multivitamins regularly. The individual vitamins and nutrients in a quality daily multivitamin delivers to you their specific benefits of each individual vitamin, plus you get the combined, synergistic benefits and effects of all of the ingredients working together. Most of us fail to eat a varied and well-balanced diet on a regular basis, and many people may require more of certain nutrients than their diets can provide. Young children, teenagers, pregnant women, those on vegetarian, vegan diets or poorly designed weight reduction diets, and chronically ill and elderly people. Plus we cook our food and that can kill certain nutrients, and the time from farm to table is often weeks, and much of the nutritional value is lost. Plants get their minerals from the soil, and it is so depleted that it is all but devoid of essential minerals such as selenium and zinc. Process foods are so lacking in nutrition, and make up so much of the American diet. 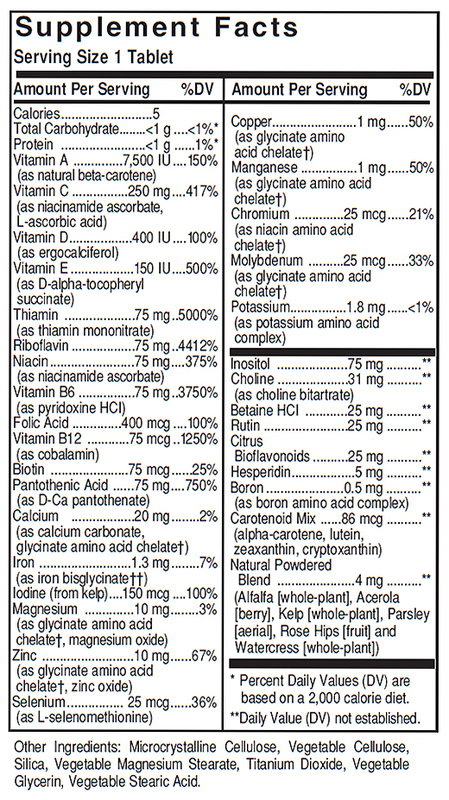 Taking a good quality multi-vitamin & Mineral supplement like Solgar Formula VM-75 , can really bridge the gap in nutritional deficiencies. Solgar is dedicated to providing consumers with quality, innovative, science-based supplements. Solgar has been innovating and producing fine quality nutritional supplements since 1947. Their ongoing mission is to provide consumers with top-quality, innovative, science-based nutritional supplements to support their total health and well-being. They are committed to exclusively distributing products in the natural products industry where knowledgeable retailers worldwide can guide consumers through the vast array of choices. Other Ingredients: Microcrystalline Cellulose, Vegetable Cellulose, Silica, Titanium Dioxide, Vegetable Magnesium Stearate, Vegetable Stearic Acid, Red Beet Powder (color), Vegetable Glycerin. Sugar, Salt and Starch Free.